Your fist's like a truncheon." "You're still in my luncheon,"
From Fables for the Frivolous (Harper & Brothers, 1899). 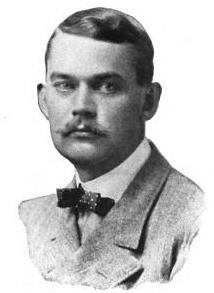 Guy Wetmore Carryl (1873 – 1904) was an American poet and novelist. Born in New York City, he was published in the New York Times at the age of twenty, and by the time he was twenty-five, was writing for many of the major publications of that era. Handsome, witty and sauve, Guy's promising literary career was cut short by an illness that left him dead at the age of thirty-one. Though he wrote several novels, he is best known for his light verse and parodies of classic fairy tales. Thanks for this giggle on a stormy day.